I am very honored to have been contacted for this interview. 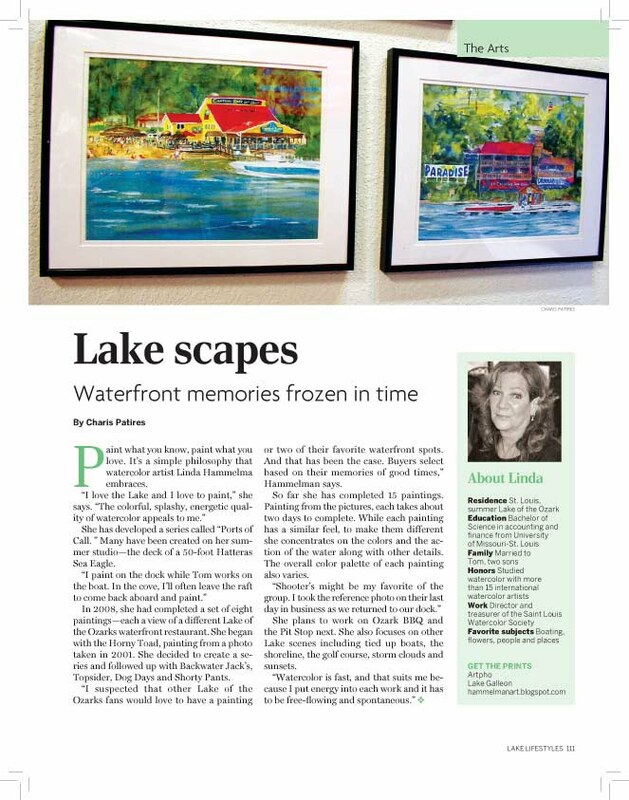 It is in Lake Lifestyles magazine, May/June issue, and will hit the stands soon at Lake of the Ozarks. I now have 15 paintings in the series and plan 3 more. Giclee prints are sold at 2 locations, Lake Galleon and Art-Pho, and have become very popular.